Are you seeing an influx of daddy long legs in your place of residence in Berkeley, CA? Do you recognize a serious daddy long leg problem on hand? If the answer is yes to those questions the best thing to do is seek the help of the best spider exterminators in Berkeley today. Simply give us a call today at (510) 900-8593 to have all your troubles and worries put to bed. It’s tough to live a busy life, and have to worry about so many items like spider infestations or daddy long leg intrusions on a daily basis. ​Hiring the best daddy long leg control company in Berkeley should be the most important thing that comes to mind if anything comes up. Having the ability to act fast and make decisions immediately is imperative. If you let daddy long leg spiders rule your property, you won’t have the comfort and safety most people have. Daddy long legs are very common to see in a household. Don’t wonder if we can get the job done for you, we can, reach out to us today, (510) 900-8593. There are many different names closely associated with daddy long legs. Many spider experts consider daddy long legs to be called harvest men which are apart of the spider family of Phalangiidae. Other than harvest men, harvest spiders, shepherd spiders, and grandfather graybeards are also common. To take away the confusion, the generic names are daddy long legs, harvest men, and opilionids. 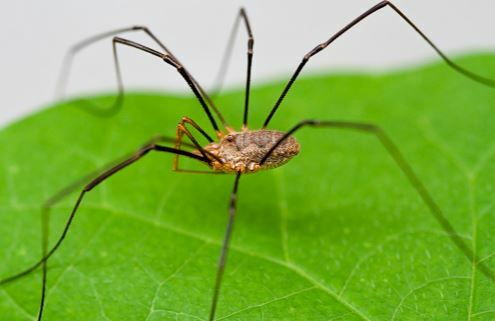 The real reason daddy long leg spiders are considered harvest men is because these creatures are seen the most in the fall, during time of harvest hence the name. A harvest spider is put together by one body frame, two eyes, and eight skinny legs. Four of the harvest men legs are for using smell and taste sensors. 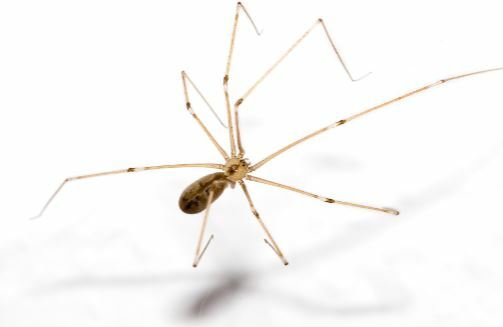 Many people make claims that daddy long leg spiders have the most poisonous spider bite out of all spiders. Nothing could be further from the truth. Harvest men don’t even have fangs to bite like spiders. Daddy long leg spiders don’t even have fangs to produce venomous bites. There is no way for humans to get bitten by harvest men spiders. If you worry about having a severe daddy long leg spider bite, no need to worry because it’s impossible. Much like crab spiders, daddy long leg spiders use their mouths to hold and eat their food. The most effective ways daddy long legs fight against predators is by releasing a strong odor that is used as a natural repellent. Much like other spiders, the daddy long leg spiders are nocturnal. Nocturnal in the sense that in the daytime they stay away from action. During the daytime harvest men will remain close to shady, dark areas around your property. Daddy long leg spiders hate being inside or around humans, usually. During the nigh time when everyone is sleeping, normally a daddy long leg spider roams around searching for food. In the US, daddy long legs will live up to a year due to the weather conditions. On the other hand, any harvest men in southern states of the country can live up to three years because of the humidity in the air. Like said before, it is very uncommon for harvest men organisms to be seen in households or buildings. If you find daddy long leg families in your residence, small populations are typical. During the harvest season of the fall is the time of the year where daddy long leg populations expand and grow. Daddy long leg information is abundant. Having a question can be as easy as looking up the harvest men problem online. If you have a harvest men concerns, feel free to reach out to us via quote form or calling us at​(510) 900-8593.